The Just Culture Assessment Tool will help operationalize use of the Just Culture Algorithm™ with HIPAA-style security to safeguard employee data. Upon purchase, Outcome Engenuity will email the instructions to access the software. The instructions will include the link to the tool along with a username and temporary password. 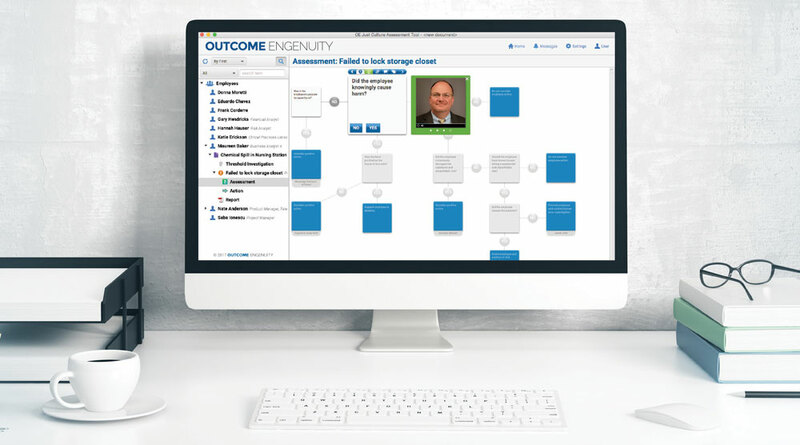 If you have any questions, please contact Outcome Engenuity Software Support at 855-458-3388. New! Software to Hardwire Just Culture in Your Organization. ONLY from Outcome Engenuity! The Just Culture Assessment Tool is a desktop application that helps managers review events and behavioral choices using the Outcome Engenuity Just Culture Algorithm™. It will help operationalize use of the Just Culture Algorithm with HIPAA-style security to safeguard employee data. The Online Advisor feature provides real-time assistance to managers to ensure consistent use of the Just Culture Algorithm™ across the organization. 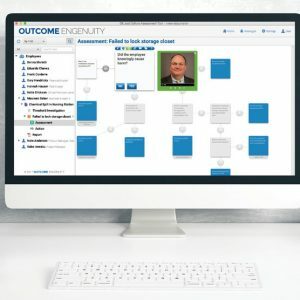 The ability to securely save Assessments makes documentation of events available to management in the organization. Operationalizes the use of the Just Culture Algorithm™ in the organization. Improves the quality and consistency of assessments by providing “Online Advisor” tips and techniques. Saves completed assessments for review by others resulting in better management and HR oversight of assessments.